Foo Dogs have a light crackle finish that gives them an aged look and they are a creamy white color which really updates the Foo Dogs. The lamp shades are a bright white. They fit in perfectly with my eclectic bedroom and look far more expensive than the cost. You don’t need a formal setting to enjoy these lamps. Great buy. 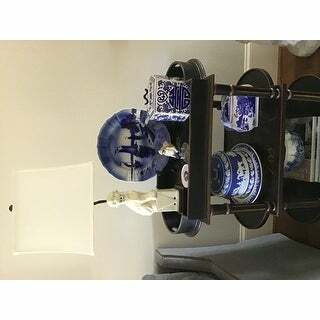 Safavieh Lighting 28-inch Blue Foo Dog Table Lamp (Set of 2) - 14" x 9" x 28.5"
With a nod to the Far East, these stately Foo Dog table lamps add a worldly touch to any room. Crafted of cream ceramic with pure cotton shade and contrasting brown stand and fittings, this centuries-old design is updated with crisp neutral colors. Dimensions 28 in. H. x 14 in. W. x 9 in D.
Super gorgeous, even bette quality in person!! I was looking for something unique that could add some interest to my guest bedroom. I showed this lamp set to my husband as a joke and after hearing his resounding, "NO!" I couldn't help myself and invested in a couple of foo dog lamps! I couldn't be more pleased. The cream color is subtle making these little dogs surprisingly chic adding a touch a quirky style to the room that my visitors have really enjoyed. Item is exactly as shown but I think the word "stately" is a stretch. Lamp is cream with yellow undertones. Nice lamp to look at not to mention a conversation starter. 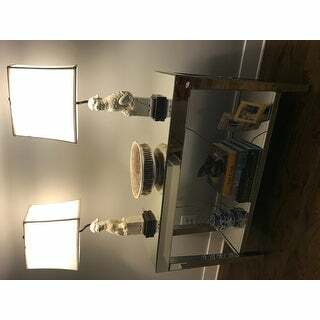 Beautiful lamps and high quality shades! 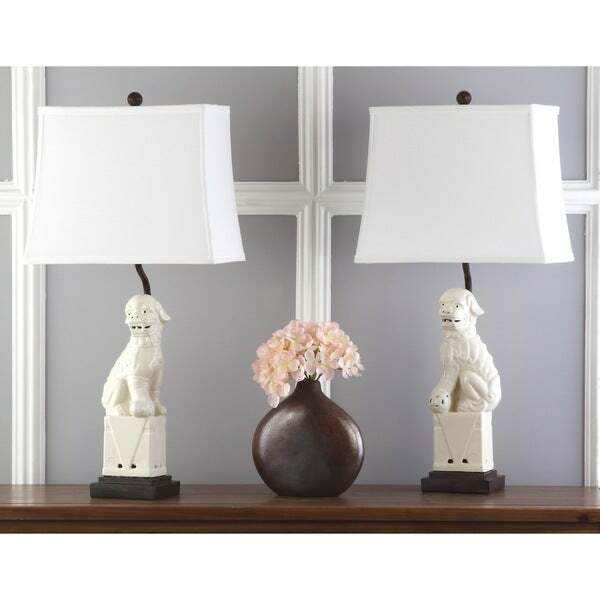 Perfect lamps for foo dog accent! love, dress up any room. A lot bigger in person, I didn't look at measurements much. Can use as a pair or split up around the house easily. I changed out finials to a gold to dress up more, the standard brown were not very pretty. Love these lamps!! 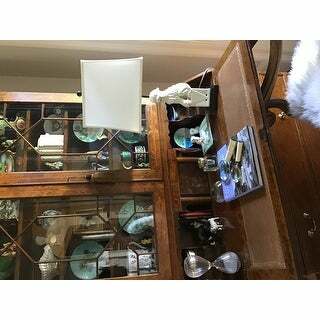 They look beautiful in my antique sideboard in my dining room!! These fit on my fireplace mantle perfectly--I added a bit of gold and "dressed them up" a little as they are quite plain. I would buy again! These lamps are stunning! Very well made and they look great in my guest room. "Is the height measurement of 28" from the base to top of the shade or to the top of the finial? " This is the total height of the lamp, including the shade. "Do you have a black shade available for this item?" "what is the size of the shades?" The shade is approximately 12" W x 7" D x 11"H.